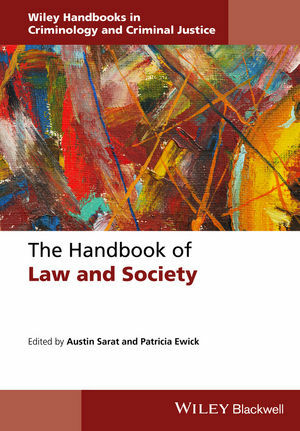 Bringing a timely synthesis to the field, The Handbook of Law and Society presents a comprehensive overview of key research findings, theoretical developments, and methodological controversies in the field of law and society. Patricia Ewick is Professor of Sociology at Clark University. She is the co-author of The Common Place of Law (1998) and Social Science, Social Policy and Law (1999). She is also former co-editor of Studies in Law, Politics and Society and former Associate Editor of the Law & Society Review. Austin Sarat is William Nelson Cromwell Professor of Jurisprudence and Political Science at Amherst College and Hugo L. Black Visiting Senior Scholar at the University of Alabama School of Law. He is the author or editor of more than 90 books, including Gruesome Spectacles: Botched Executions and America’s Death Penalty (2014); When the State Kills: Capital Punishment in Law, Politics, and Culture (2002); The Blackwell Companion to Law and Society (Wiley Blackwell, 2004); and Mercy on Trial: What It Means to Stop an Execution (2007).